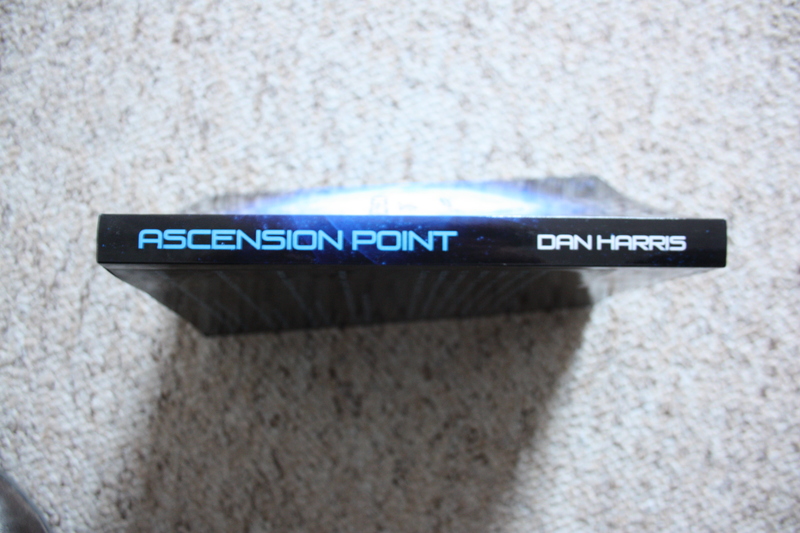 As promised, here are some photos of ASCENSION POINT in all it’s paperback glory. As usual, click to embiggen–and read pages 34 and 35 for free! 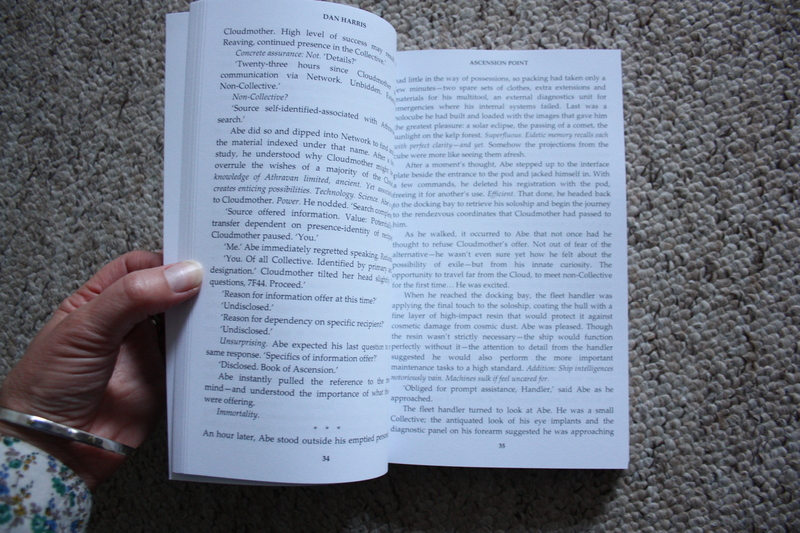 I remember the first time I held my first book. My brother had his first born child on the way and I told him that this is how it will feel when yours arrive. It was like holding my first born. Sadly I’ve yet to see mine, as shipping to Brazil from Createspace is a little bit expensive. I’ll just have to wait for a while. It’ll worth it… Best of luck. Looks awesome! Can I ask how you calculated the spine width? A fellow author/blogger friend of mine described the equations and it all sounds like a nightmare. Yes, I took a look at the process earlier, still looks like a nightmare. 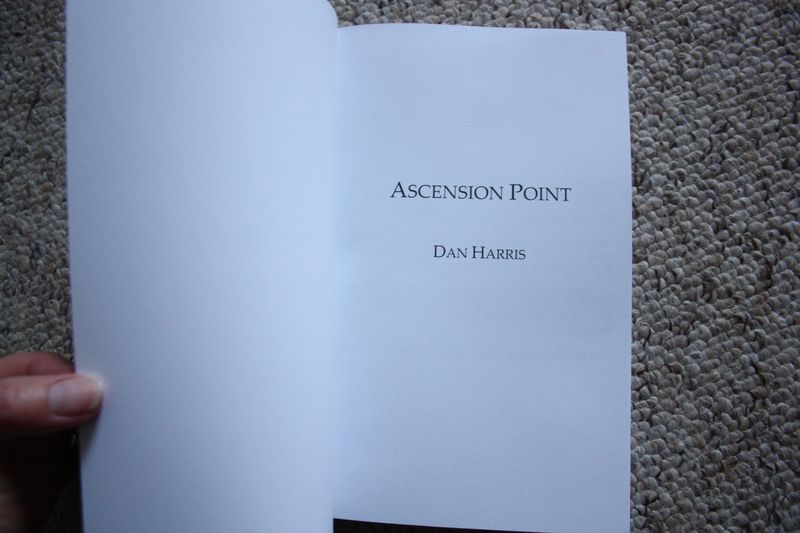 I imagine my designer has done covers for createspace, so I’ll just wait and see how many pages my file ends up being. Thanks! 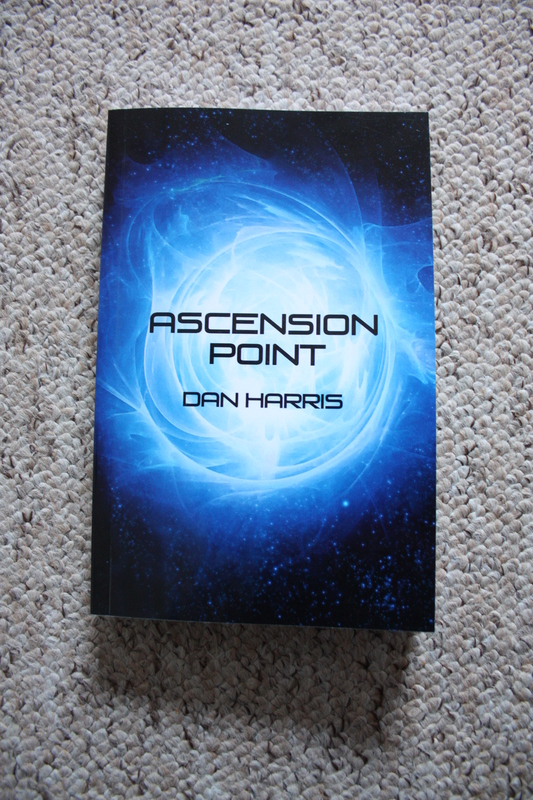 Congrats on the paperback version!